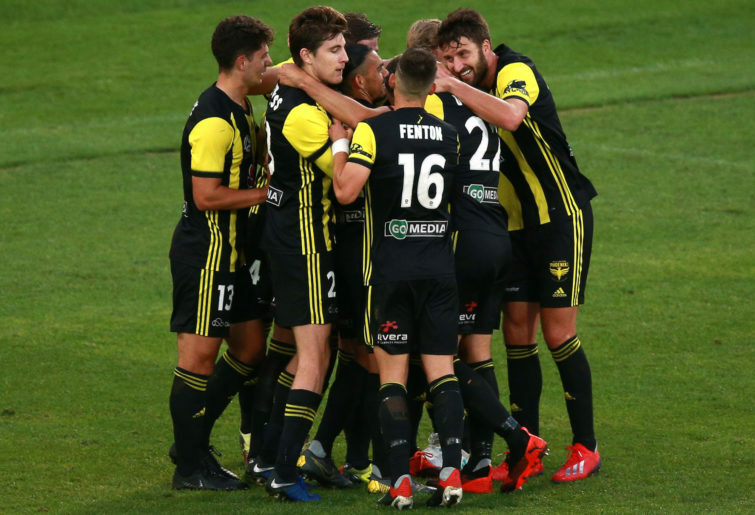 With five rounds remaining of the regular season, amidst the background of the events in Christchurch, let’s jump into those A-League talking points from Round 22. So how do you detach yourself enough from what happened on Friday, and enjoy the simple pleasure of sport? In 2001, as the dust settled on Manhattan Island around the rubble of the World Trade Centre, so catastrophic was the September 11 act of terrorism, the major sporting codes of the USA halted play, the NFL in particular re-scheduling that weekend’s action. It felt unimaginable to, firstly, even think about sport in the face of such tragedy, but secondly, how could professional sportsmen bring themselves to perform amidst the raw emotion of the loss of life? The events in Christchurch, in the light of such worldwide coverage, and the outpouring of utter sadness and despair, have a tendency to bring all facets of life into perspective. Yes, football is after all, just a game. But equally, while it is only game, nor is the game without meaning, or purpose. The loss of life in Christchurch, an act of terrorism meant to cause fear and divide people, instead presented a wonderfully unifying opportunity for sport in general, and the A-League in particular. You see, whatever you think about the A-League, whatever you think about the place and significance of sport, in the face of the tragedy in Christchurch, or any tragedy for that matter, the wonder and splendour of sport was on show for all to see this weekend. There was the commemoration of lives lost, there was the reflection of all involved to remember what truly matters in life, and for perhaps fleeting moments for many, there was that chance to have a momentary distraction from the trauma of such a grand scale loss of life. But perhaps the most important thing that Round 22 of the A-League represented over the weekend, was the fact that sport, and the game of football, provided a platform to bring people together. You see, the thing about terrorism is that its main aim is to divide and conquer, to spread fear, and to isolate us. The beauty of sport, though, is that, regardless of the team that you support, the players that you love, heck, even the tactics that you may disagree with, sport invariably brings people together. Round 22 in the A-League in the face of such atrocity on 15 March, allowed so many the chance to come together, and enjoy something that we love. For me, the highlight of the round? Well, there can be only one, or two really. Kosta Barbarouses and Roy Krishna, in scoring their team’s openers, celebrated in respect of both their countries by bowing down, representative of Muslim prayer. It was heartfelt, it was raw, and it was a wonderful reminder that regardless of race, or creed, or religion, when it comes to football, we are all one. Truth be told, up until about halfway through this season, I actually assumed Perth would run out of steam. Great start to the season notwithstanding, it just appeared entirely likely that the travel would catch up with them, the weight of expectation would weigh too heavily upon them, and the more hardened performers would catch up with them. Tony Popovic has his team purring at the moment. Undefeated in their last five, a couple of impressive come from behind points, and a solid away win in Adelaide, it has now become almost impossible to, firstly, question the credentials of Perth, but secondly, find much fault in the way they are playing. With five rounds to go, Perth can lock up the premier’s plate in the next two or three rounds, and they may want to lock it up as early as they can. Because, remember, Tony Popovic, as good a coach as he is, and he is indeed a spectacular coach, but he does not have a grand final win on his resume. Were he to win his first grand final in his first season with Perth having taken them from finals wannabes to premiership and championship winners? Well, what a story that would be. So, just when you thought that there could be no more twists, turns, and surprises this A-League season, the competition just continues to deliver. The Mariners went to Newcastle off the back of (another) 8-2 loss at home, and with a new coach appointed six days earlier. Honestly, they could have lost by five goals, and they would have been applauded. But true to the very nature of this season being the very definition of the phrase “expect the unexpected,” as the Mariners held the misfiring home side to a nil-all half-time scoreline, the second half presented one of the most extraordinary halves of football you would ever witness. Mariners racing out to a 3-nil lead, the Jets fighting back with two goals of their own, two penalty saves off the one penalty, VAR intervention, seriously – how do people not love this competition? It literally has everything. Now, this Jets and Arsenal loving writer had to laugh when VAR intervened over encroachment by Daniel Georgievski that required the penalty to be re-taken (and if you don’t understand the link between the Jets’ encroachment issue and the Arsenal reference, look up the most recent north London derby), but putting on the objective hat, the VAR got the call spot on. What should be of more concern to the Jets is the failure to convert either of two penalties, falling behind 3-nil to the one-win, bottom of the ladder team, and then losing to the now two-win, bottom of the ladder team. 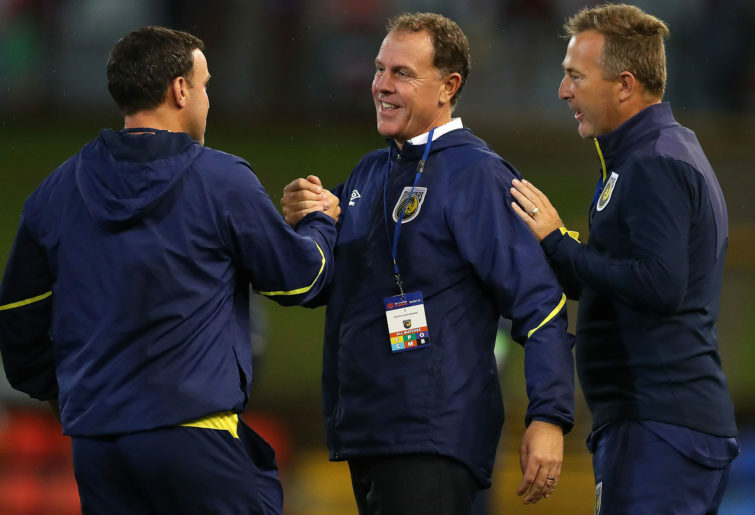 As for the Mariners, just a big bravo, that win after the week they had had, cannot have been easy, and kudos to Alen Stajcic, who must have had an extra sense of satisfaction given the acrimonious circumstances of the departure from his last job. Alas, much like talking points has opined about Brisbane’s performances post-Aloisi, you can’t help but think of Mike Mulvey, and wonder: where has that type of performance been for the previous 21 rounds? It appears that the officials are learning how to pragmatically rule offside in the age when everything is reviewable with the VAR. Early on in the match, Kosta Barbarouses had a chance outside the box, let loose, and kicked off target. Now until that ball went flying into the atmosphere, the linesman’s flag stayed right down, but the second it was apparent that there could not be a goal, the flag was raised, and instead of indicating a goal kick, the linesman, belatedly, ruled offside. And didn’t Andy Harper seem annoyed by the delayed response. Fast forward to Kosta’s second goal, and again, he was through on goal, slotted home a brilliant effort from a tight angle, and as the ball crashed into the net, again, the linesman’s flag went up. However, the offside call was reviewed, VAR had its say, it turned out Barbarouses was in fact on side, and the goal stood (and as it turned out, fortuitously for the Victory). Now, talking points saw something like this in the Champions League during the week, where essentially, linesmen no longer make a call on offside until the play is dead, or the opportunity to score is no longer likely. Let the play go on, and once the goal scoring opportunity is over, or a possible goal has been scored, make the call on the field, and let VAR review it. Let’s see how it plays out over time, so as always, watch this space. Curious affair really out at Wellington. Given Friday’s events, it probably should not have surprised that both teams were perhaps slightly less than aggressive. Which made the late, and I do mean late, send off of Roy Krishna so much more surprising. 3-1 up over seventh-placed Western Sydney, the points in the bag and just running down the clock, Krishna, who was on a yellow card mere moments earlier, then decided to lash out at the face of Raul Llorente. Now, to be fair, Krishna had his back to Llorente, and you see players throw their arms about all the time. But having just received a yellow card, Krishna needed to be a lot more mindful than he ultimately was. And then, the final whistle blew a minute after Krishna left the field. The race for finals remains tight. Wellington is in the top four, and should stay there. But coming up against a wounded Newcastle with a point to prove next week, the absolute last thing Wellington needed was to lose their top scoring Fijian. Krishna will likely only cop a one-match ban, and Wellington will likely still beat Newcastle and play finals. Heaven forbid they lose though, because if so, eyes will be looking at, and fingers pointed towards, one R. Krishna. It was something of a shame that the final game of the round was left to the, well, let’s call it “close” affair between Sydney FC and Melbourne city. As Shayon Harrison slotted home the opening goal in the 62nd minute, with a goal that seemed nigh on impossible right up until the 61st minute, you had to feel sorry for the crowd that attended the almost water-logged Leichhardt Oval. It would be easy to blame Warren Joyce for the less than spectacular affair that was played out at Leichhardt. Look, talking points accepts that it isn’t a coach’s job to entertain the masses, per se. But ultimately, if the game isn’t interesting to watch, the coaches won’t actually have jobs. So as Melbourne City dragged out their bodies behind the ball tactics and strangled the game of any hint of life, sure, it might have ultimately garnered the result that Joyce craved, but I ask you: at what cost?